Find Better Questions currently does provide its main features, but it does a poor job at guiding the user through it. Naturally, people who aren't experienced with Quora have a hard time using Find Better Questions at its current state. The purpose of this guide is to do compensate this lack of in-app guidance. Please note that I'm not yet a verified developer, so for example on macOS, you might have to right-click > open the tool. It will automatically update to the latest version when I release one. 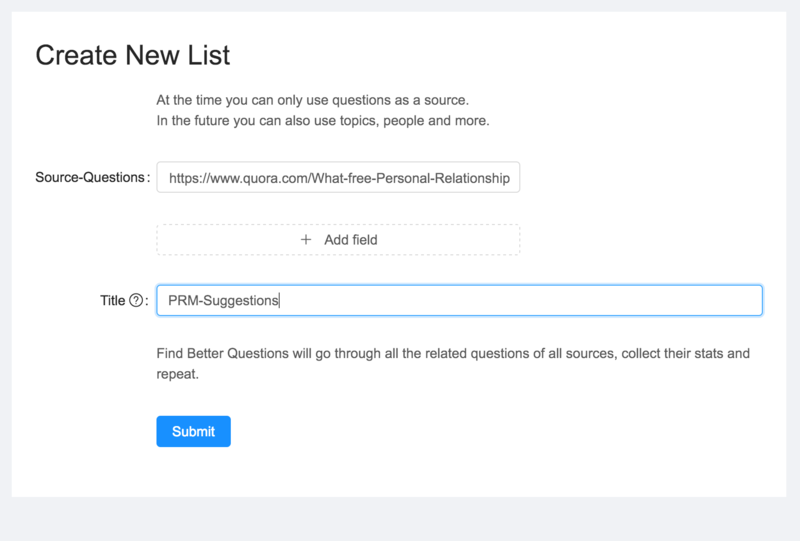 You can add one or multiple Quora questions from which your list should be based on. This is where you currently still have to do some manual work. Go to Quora and search for questions that are relavant to the area you want to write answers to. Don't spend too much time thinking about which questions to choose. You can create as many lists as you want one compare the results later. You can optionally add a title for the list. Once you hit Submit for the first time, you'll be asked to sign into your Quora account. 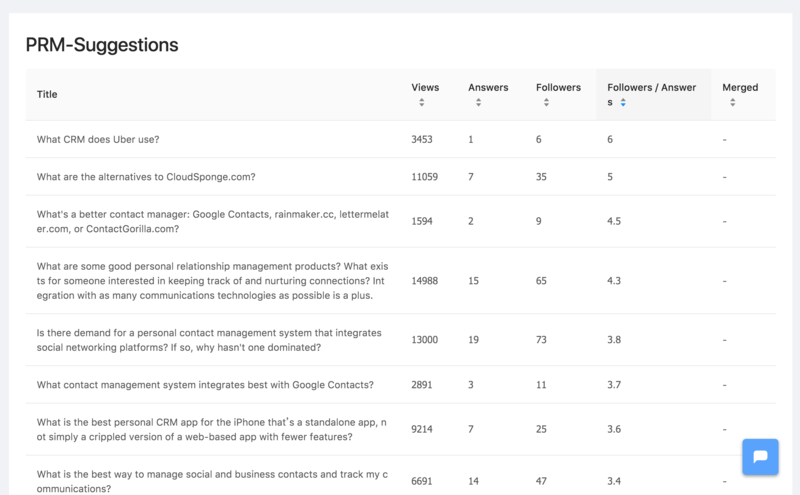 This is why Find Better Questions is a desktop app by the way. I don't need to manage your password, which would be something neither of us wants. You might still have to answer to not use Quora in another language or something like that. Once Quora goes to different questions from the ones you entered, you're fine. Now wait a couple of minutes. If you think that something is wrong, use the chat icon (or write an e-mail) to get in contact. There is currently a bug where you have to reopen the app in order for your new list to show up. I'll fix this very soon. I'll now go over how I analyze one of mine. I first sort the list by Followers / Answers, as that is my favourite metric. You can do that be clicking the little arrows next to Followers / Answers-Text. A high numebr here is good. Followers and Views should be high, while the number of answers should rather be low, for your one to get to a top position easier. My list has a question with a F/A-Ratio of 6 and 3453 views. The second one has a F/A-Ratio of 5 and 11059 views. So I'd say that the second one has a slightly higher impact. Don't forget the most important field! The question itself is what defines the type of answer you can write. Most questions in this list would be good fits for me to answer, while some, like What is the best Gmail contact management add-on? wouldn't be a good fit to promote a product that isn't a Gmail contact management add-on. This isn't a guide about how to do that, but be helpful. Your intention should be to answer the question, not to promote your thing. Or just google something like how to use quora for marketing. There are some great guides out there.